25 January 2018 Unlocked content from the archive. 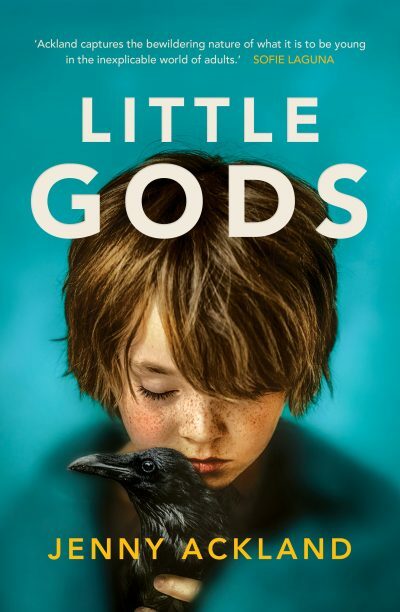 Jenny Ackland’s second novel, Little Gods, couldn’t be mistaken for anything but an Australian book. The Mallee countryside leaps off the page with its great hulking peppercorns and flattened brown-farmland. The characters who live there are similarly hardboiled, stoic and tough. Yet in the grand tradition of books set in rural Australia, there is a tangle of secrets not far beneath the surface of the seemingly quiet setting. Olive Lovelock, the inquisitive and single-minded 12-year-old protagonist, discovers she once had a baby sister who died. She quickly becomes convinced it was murder, and resolves to find out what really happened and why it has gone unacknowledged for so long. But playing sleuth has unexpected consequences—not just for Olive, but for the rest of her family and the local community. Like Ackland’s first novel, The Secret Son, the story has themes of memory and belonging as well as resilience and revenge. It starts off with a playful premise but ends up in a serious place, as Olive learns that sometimes having the answers doesn’t fix anything but simply opens another world of questions. It will appeal to those who enjoyed The Secret Son, but also to fans of Craig Silvey, Ruth Park and Kate Grenville.